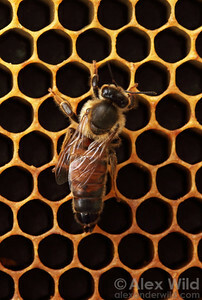 Urban beekeeping is gaining in popularity across the world. 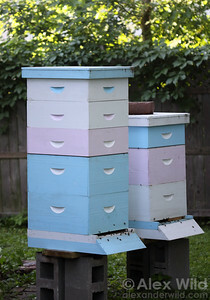 These two garden hives in Illinois have been supered to catch the summer honey flow. 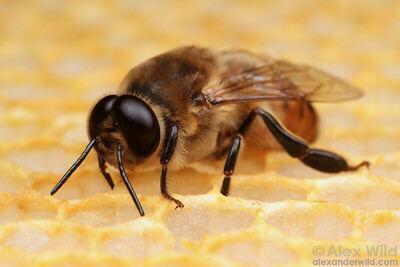 A worker honey bee Apis mellifera returns to the hive. 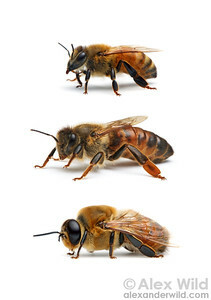 Castes of the western honey bee Apis mellifera: worker, queen, and drone. 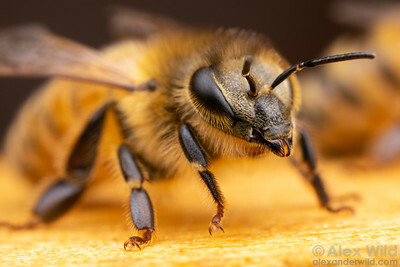 A queen honey bee solicits food from one of her daughters. 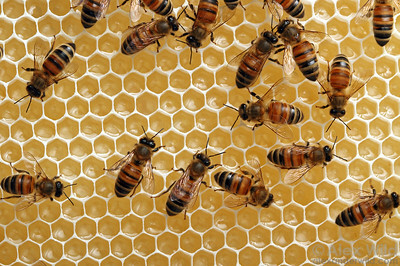 Worker bees ripen nectar in freshly-built honeycomb. 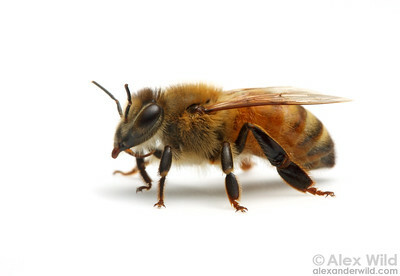 A queen bee is recognized by her elongate abdomen. 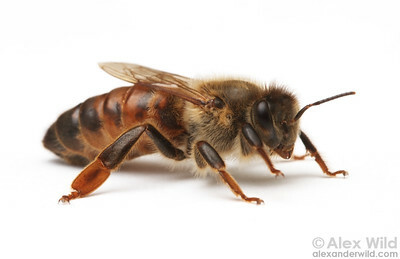 Portrait of a mature laying queen. 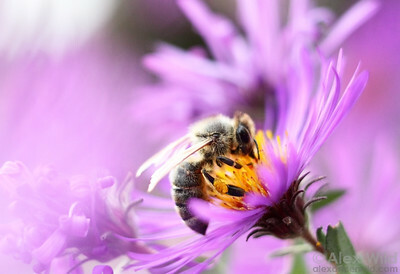 Gathering pollen and nectar from the fall bloom of New England asters. 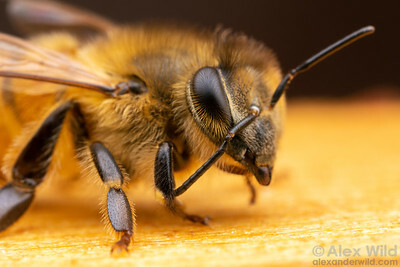 Male bees can be recognized by their enormous eyes, useful for spotting unmated queens on the wing. 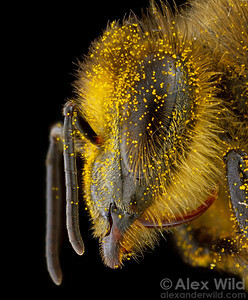 A foraging bee returns to the hive with both nectar (visible in the distended abdomen) and pollen (visible in the baskets on the bee's hind legs). 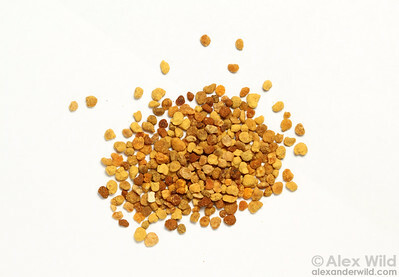 Pollen, collected from the legs of foraging bees as they return to the hive, is sold as a natural high-protein dietary supplement. 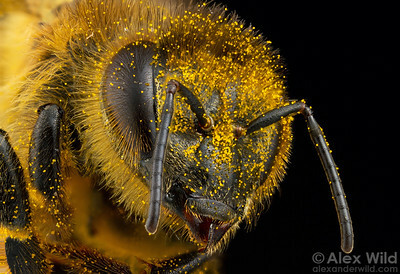 Portrait of a guard bee. 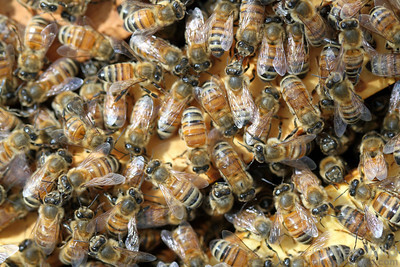 Worker bees in a crowded hive. 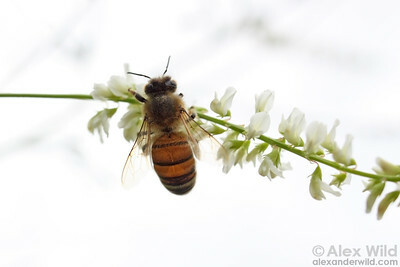 A honey bee gathers nectar from yellow sweet clover Melilotus albus. 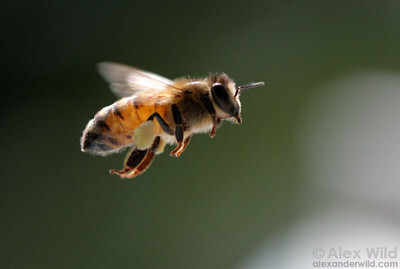 A young worker bee. Laboratory colony at The University of Texas at Austin. 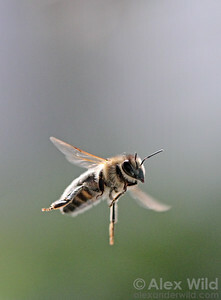 A bee cleans her antenna by pulling it through a special brush on her foreleg. 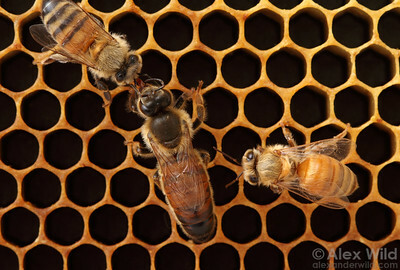 Laboratory colony at The University of Texas at Austin.